This book is about a child meeting and befriending a frog and the fun they have thereafter. Cathy Hoppis’ book “Froggy, Me and the Willow Tree” is about a little boy who meets ‘Froggy’ and the special relationship that ensues. As you read through easy rhythm and colorful pages, you will see their friendship deepen through the adventures they share. Engage with the characters as they explore caves, run, play, and discover a hidden treasure to share with the world. The book unleashes children’s imaginations and opens their hearts as they learn the value of friendship and playtime in this playful, sweet story. This book will surely not disappoint. 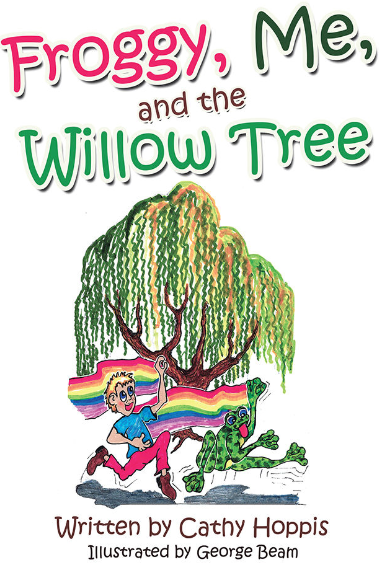 Grab a copy of “Froggy, Me, and the Willow Tree” at the upcoming 2019 LA Times Festival of Books on April 13–14, 2019.